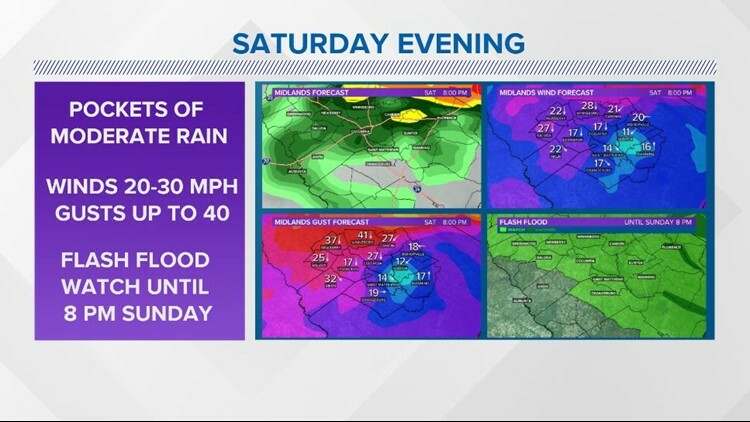 Florence will continue to cut across South Carolina. This will produce some flash flooding, the potential for tropical storm force winds and river flooding next week. 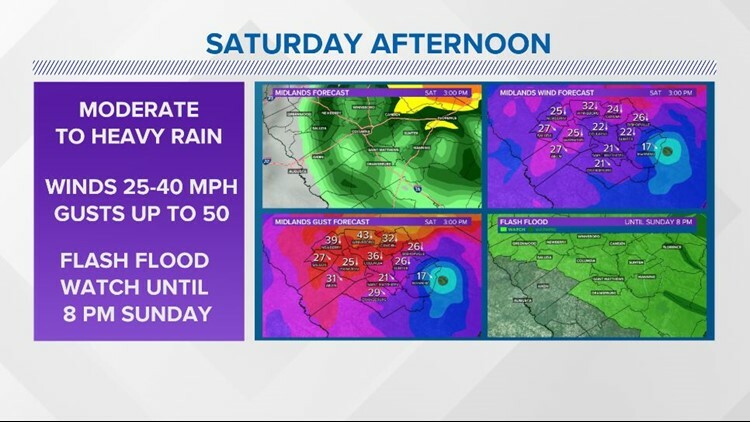 Columbia, SC (WLTX) — Tropical Storm Florence will continue to move across the state for the next two days. This storm will produce some flash flooding, the potential for tropical storm force winds today. Next week, river flooding is expected. This is a breakdown of what we can expect. Right now, seeing high winds and flooding rain, particularly over the eastern part of the coverage area. 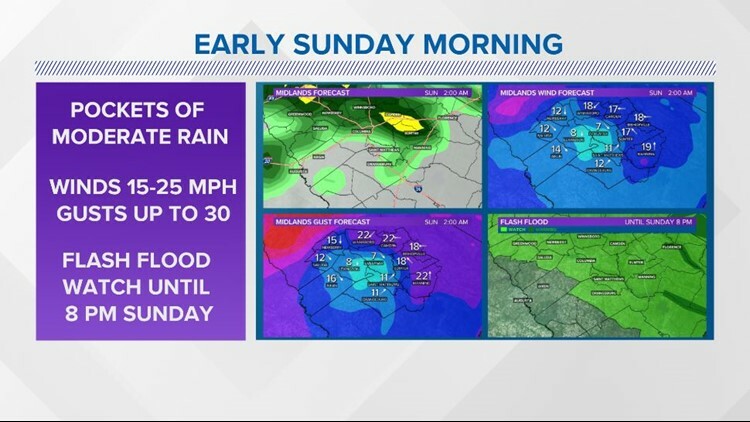 That will mean localized flash flooding and power outages. The storm will eventually track northwestward as it continues to weaken. 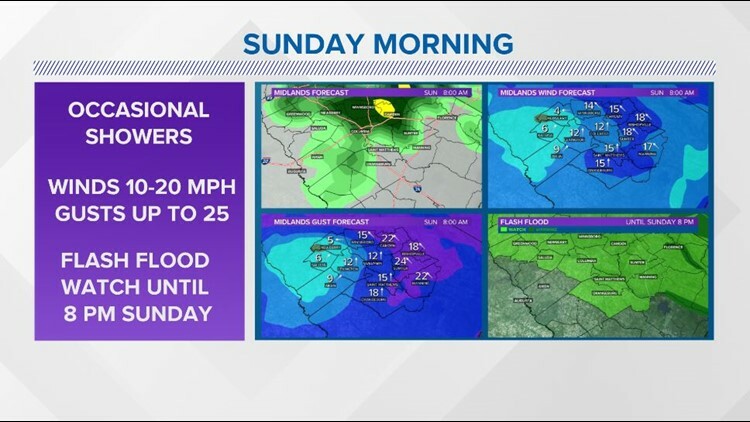 Here is what you can expect through Sunday evening. 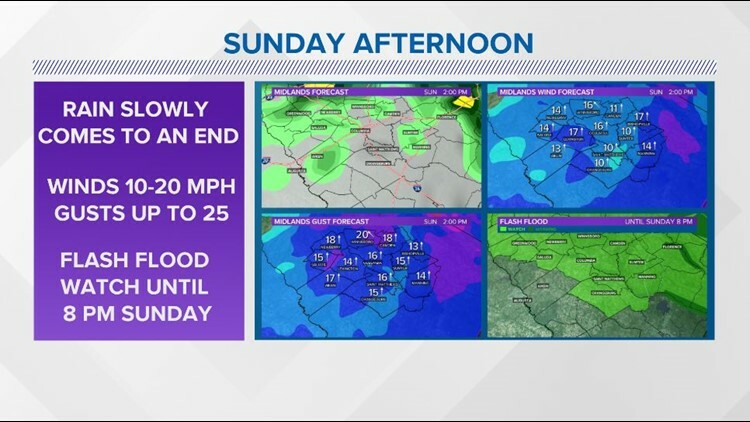 The rain and wind will continue this afternoon. Moderate to heavy rain is expected. Winds will be in the 25-40 mph range, but gusts could reach into the 50s. Some power outages are expected this afternoon. Windy, pockets of moderate rain. Winds will be 20-30 mph with gusts up to 40 mph. A flash flood watch will remain into effect through Sunday evening. Still some pockets of moderate rain, especially in the northern and eastern Midlands. Winds will be 15-25 mph with gusts up to 30 mph. Occasional showers, especially in the northern and eastern Midlands. Winds will be out of the south at 10-15 mph. Gusts will be up to 25 mph. The rain will slowly come to an end by the late afternoon or early evening hours. It will still be breezy. Winds will be out of the south at 10-20 mph. Gusts may reach up to 25 mph.